Based on an IDC report of H1 2018 smartphone sales, Huawei took its place as the number two global smartphone vendor manufacturer, establishing a new world order in smartphone hierarchy. While the industry was still abuzz with the news, Huawei marked 2 more milestones before the month was out. The company sold 10 million units of HUAWEI P20 series in the first five months. 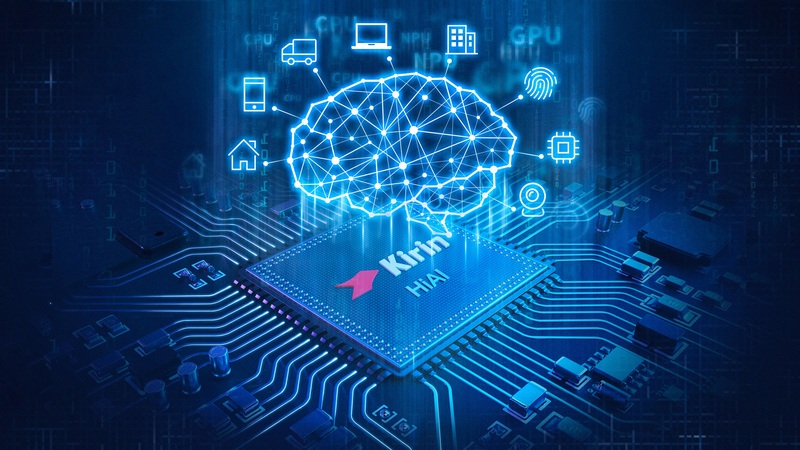 Even while competitors struggle to play catchup, Huawei marked another ‘world’s first’ with the launch its new Kirin 980 chipset – the first commercially available 7 nanometer chipset that delivers never-seen-before speed and efficiency. The Kirin 980 will power Huawei's Mate 20 Series that is set for launch this year. Huawei also took the second spot in the Middle East and Africa. According to the GFK May 2018 report Huawei CBG market share in the Middle East and Africa was 21%, an increase of 31.25% when compared with the brand’s market share in December 2017. Huawei’s market share across countries in the MEA region exceeds 20%, including Levant at 37.4%, Oman at 30%, Saudi Arabia at 27%, Iraq at 25%, Egypt at 24%, Pakistan at 22.2% and the UAE at 20%. Now, you don't have to be a fly on the wall in competitor boardrooms to hear the agitation across markets as users ooh and aah at every Huawei launch. First it was the AI-powered Huawei Mate 10 and Kirin 970. Then came the Huawei P20 Pro. And just as rival brands were beginning to absorb the big shock and challenge from the nova 3 series that features exceptional new AI selfie features, there's now both a new chip and a new flagship phone before the year ends too. The disruption is no surprise, given Huawei’s single-point focus on innovation. In fact, it appears to be an inevitable sign of the looming turn of fate for all other smartphone brands. The HUAWEI P20 Pro and HUAWEI P20 were the first two devices to receive a triple-digit score by DxOMark, the industry standard for camera and lens image quality measurements and ratings. Today, the HUAWEI P20 Pro remains at the top of DxOMark Mobile leaderboard with a score of 109, a lead of six points above the second place competitor. Many have begun to call Huawei's dominant innovation and unstoppable ascent impossible to outpace with its AI evolution that offers richer user experiences, better visuals and greater efficiency. Leading the AI innovation agenda in the smartphone industry, Huawei's AI on-device empowers users with everything they need to help optimize interaction and phone experience, without the hassle of downloading and engaging with multiple applications. With cloud computing (server side) primarily supported by AI, smartphones are in their evolution phase with on-device AI. But with AI as a standard across all Huawei devices, we are headed to an era where both on-device AI and cloud AI will continue to converge and complement each other. This, in simple terms, means that a device will be intelligent both on cloud level and its own handset level, leading to a future where mobile devices can serve as capable personal assistants. With Huawei's operational performance already seeing rapid and healthy growth, the brand's influence is swiftly on the rise and with the innovations still to reveal before the end of the year that will help it to further bite into global smartphone marketshare. In the first half of 2018, Huawei shipped more than 95 million phones globally and ranked in the top second spot in terms of market share across 38 countries, including the United Arab Emirates, according to a GFK report . In fact, with the Mate Series and P Series sales revenue increasing by 45% YoY, Huawei's global market share in the greater than US$500 premium segment has increased to 16.4% YoY. Huawei's retail business growth has been sky rocketing with the tech giant now operating more than 53,000 Huawei stores and 3,500 Huawei Experience stores globally. With a brand value of US$38.046 billion, Huawei ranked 25th on the “Brand Finance Global 500” report for 2018. The company is also projected to build another 10,000 stores and 700 experience stores this year as consideration from global consumers, measured by IPSOS , grew from 37% in 2016 to 44% in 2017.